I was commissioned to create an arts and crafts style fireplace in subtle deep brown, using motifs drawn from the many tall pine trees on the property. 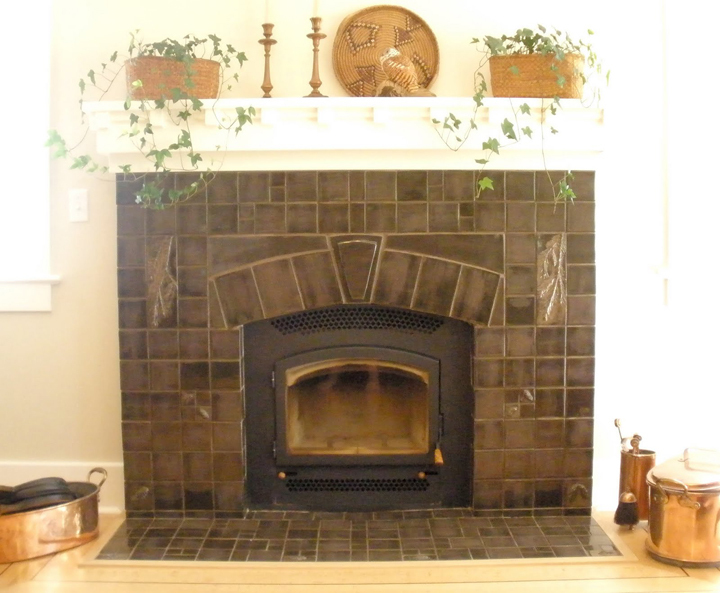 This fireplace is the focal point of a lovingly restored arts and crafts living room. I created the decorative tile plaques by casting actual pine boughs and cones from the homeowner's property. 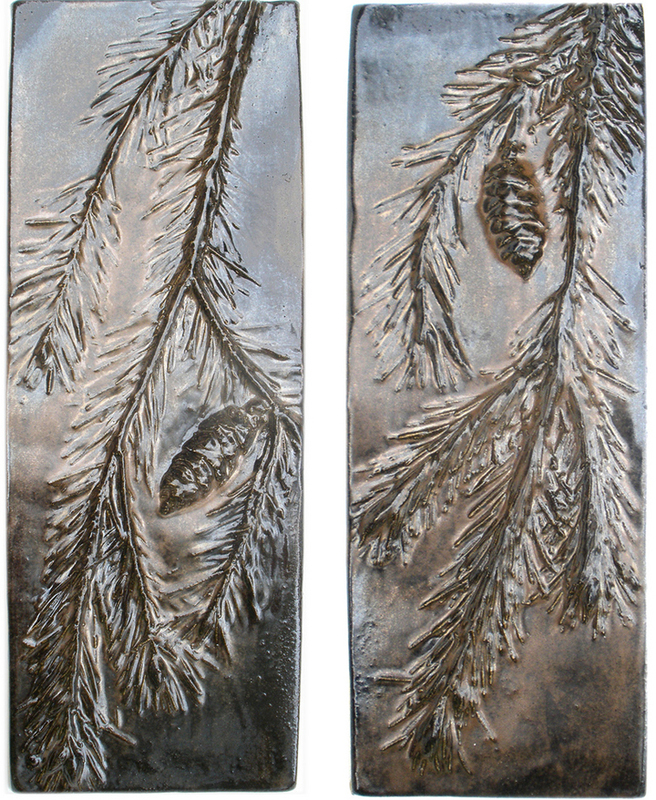 I used a painstaking two part mold making process to get the finely detailed life like relief images of pine on the pair of four inch by twelve inch plaques for either side of the fire. Many smaller tiles were cast with equal care with individual images of finely detailed pine cones. These tiles are for architectural or interior embellishments like back splashes, entryways, and fireplaces, or can be hung as stand-alone art pieces. I am currently accepting select art tile commissions, contact me if you'd like me to consider your installation. As well, single pine bough and pine cone pieces are occasionally available in the Shop.